Burris Fastfire 3 vs. Vortex Venom Review - Best Comparison in 2019 April! There are a few top rated gun accessory fabricators supplying exceptional sights for all sorts of applications. 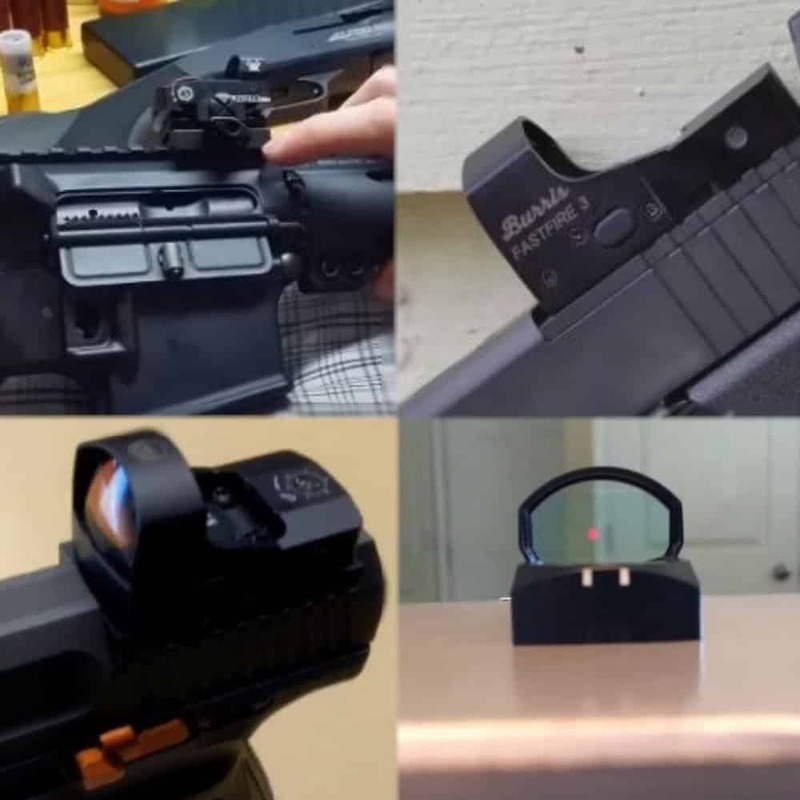 Among the most popular brands are the Burris FastFire™ 3-MOA Dot sight and the Vortex Venom Red Dot 3 MOA Dot Both are exceptional models, and both had pros and cons, however, how do they stand up to each other? Let’s take a look at both of them and see which one stands out, or if both stand out equally. Length 1.9 in. Length 1.9 in. Weight 1.1 oz. Weight 1.5 oz. The VENOM® RED DOT is one of the market leaders since it’s an affordable yet highly accurate and well detailed functional sight. The Venom comes in two variants, the 3 MOA Dot and the 6 MOA Dot models. In this comparison, I chose the 3 MOA since it’s a finer model and has more versatility than the 6 Dot. The 3 MOA dot model provides extra accuracy and is a perfect handgun and rifle scope, where both accuracy and speed are required on the range and in tactical applications. 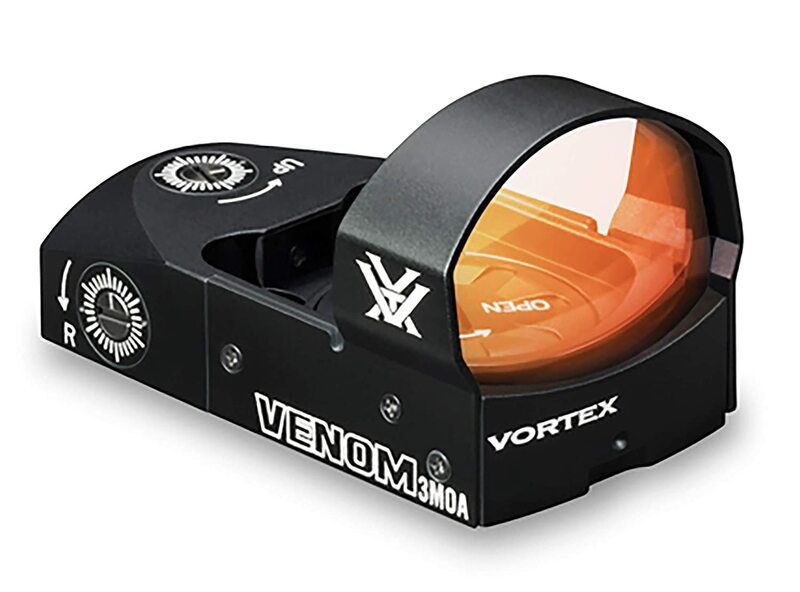 The Venom housing is made from CNC machined, and anodized aluminum alloy is making it a durable model that integrates high quality, multi-coated lens. The Venom lens provides clean vision with a wide field of view. One advantage of this model is that it comes as a top load system, so you can change the battery cell CR 1632 easy since you don’t need to rove the sight when changing the power pack. On the Venom, the power and dot intensity controls are positioned on the left side of the unit. This model also provides you with 1 MOA windage and elevation adjustments, which makes it extremely versatile over many distances and it comes with a 1.6-ounce weaver/Picatinny mount. The Burris FastFire 3 is the leading Burris model and comes in two available options, the finer 3 MOA dot or, the larger 8 MOA dot. Both models come with the option of a Picatinny mount. The Burris FastFire 3 MOA dot is an exceptionally accurate device that competes handsomely with the Vortex Venom. This model comes with automatic brightness sensors that adjust the brightness based on the ambiance of your environment and comes with an additional 3 manual brightness settings. 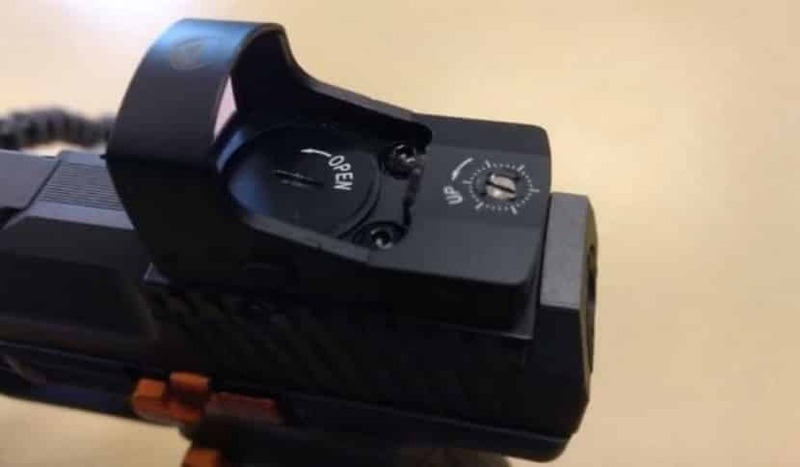 The FastFire uses CR1632 batteries, and these are mounted on the top, which provides fast and easy replacement without removing the sight from the gun. The difference between the 8MOA dot and the 3 MOA dot is the application, where there 8 MOA dot is used strictly for handguns and this extra-large dot gives improved accuracy for fast tactile shots. The smaller 3 MOA dot is perfect for both handguns and rifles and is accurate enough to pinpoint distance shots. 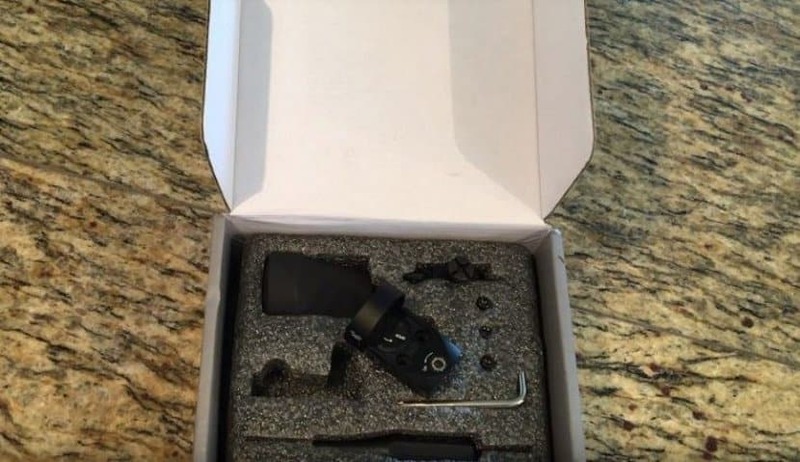 The FastFire 3 is compatible with most handguns, especially with the Glock MOS system. When comparing two models that are virtually identical, it becomes hard to decide what is better than the other and in most cases, it comes down to the fine details which are perceptual and individual rather than general. As such, it is hard to distinguish which one of these great sights is the better model. 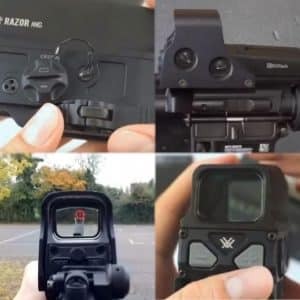 Both models come with two reticle sizes, the Venom has a 3 MOA and 6 MOA option, while the Fastfire 3 comes with a 3 MOA and 8 Moa choice. The difference between the two 3 MOA is negligible, while the difference between the 6 to 8 is noticeable, and is in favor of the smaller dot. 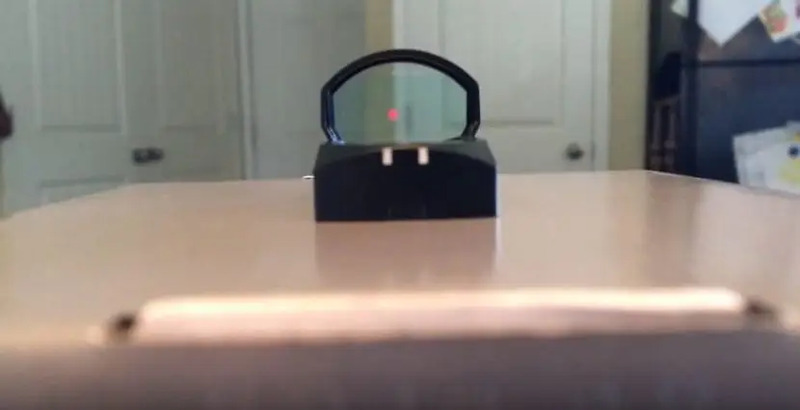 Fast acquisition of a moving target with a handgun is always an issue, the 6 MOA dot has a distinct advantage for tactical applications since it delivers a crisper target acquisition option to the clumsier 8 MOA dot. 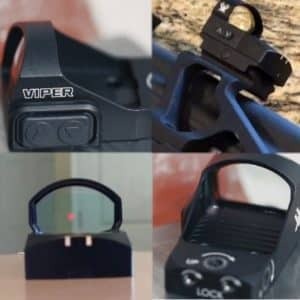 The Venom and Burris are both lightweight, and the difference of 0.4 ounces is negligible, however, in the hands of a trained and experienced professional, every 0.1 ounces can impact a shot, as such, the lighter Venom has an advantage over the heavier Burris. 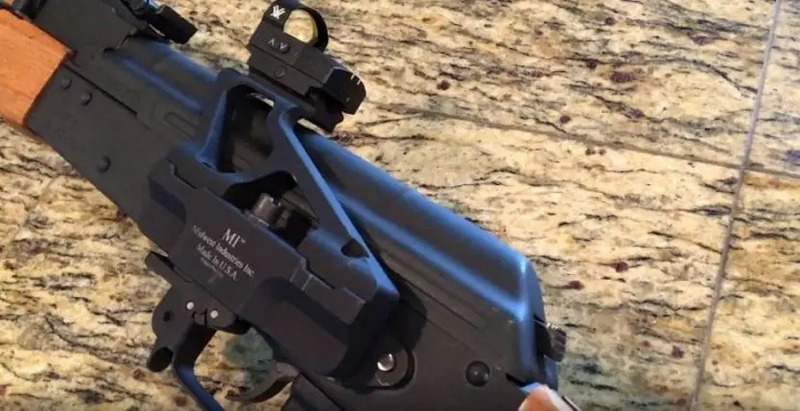 You can argue that the Burris without the Picatinny mount only weighs 0.9 ounces, however, this limits its applicability, and therefore the comparison is with a Picatinny mount. Both sights are 1.9 inches long, so its draw in length. The Burris Fastfire 3 is a veteran model with a large following. As such, its quality of the image is uncontested and is a testament to the many users that have a Fastfire mounted on their weapons. Against this comes the equally image quality efficient Vortex Venom, a newer model that is challenging the Fastfires market. Both have similar if not identical clarity of image, however, put clarity aside now and look at the field of view (FOV) and the objective lens measurements. The Burris Fastfires objective lens is only 21mm x 15mm, while the Venom’s objective lens diameter is 26.5mm giving it a larger FOV. As such, this gives the Venom a slight advantage over the Fastfire 3. The Fastfire comes with 3 manual brightness selections and automatic brightness control, as such it fulfills the basic requirement that a top red dot model must provide, and it delivers adaptability to any environment. Against this comes the upstart Venom with 10 brightness levels and automatic illumination control and puts the older Burris to bed in this category. It seems that the venue was designed to outperform the Fastfire since it does so gracefully in this category of functions. The Burris Fastfire 3 gives you a total elevation range of 115 MOA and a total windage range of 86 MOA. Against this, the Vortex Venom comes with a total elevation range of 130 MOA and a total windage range of 100 MOA. So, for elevation and windage, it’s a Venom win hands down. The Burris is built to be rugged and to withstand water and shocks from recoil and general tactical bumps and bangs. It has a good reputation and handles extremely well. 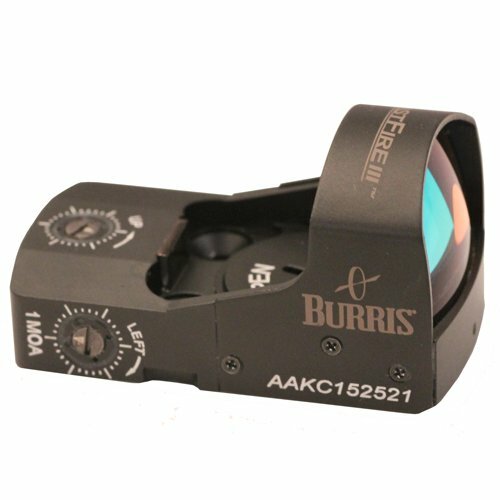 Against the Burris come to the newer Venom with its ArmorTek coating, this is a new optics coating that delivers an ultra-hard and scratch-resistant performance that is significant and noticed in harsher environments. In terms of materials, both are made from aluminum alloys and have hard anodized finishes. As such, the only difference between the two is the lens coating, and if you want to compare warranties, then the lifetime warranty provided by Vortex is defiantly a winner. This is where old technology always loses to new technology. The Burris Fastfire 3 and the Vortex venom run on identical batteries, a CR1632. However, the Venom provides you with 30,000 hours when set to the lowest setting and remember, there are 10 settings on the Venom when its set to 10 it lasts for 150 hours. Against this, the Fastfire 3 lasts for a maximum of 11,000 hours, but in reality, it lasts closer to 350 hours in total. There is no doubt that both are exceptional models. The Burris Fastfire 3 is the veteran, and a has a long run of being exceptional. However, the newbie Venom outperforms the Fastfire 3 in every aspect, and as such, is the better model. It provides longer battery life, a slightly wider window, and easier adjustability, as well as more versatile brightness control. The automatic 14-hour shutdown to save battery life is also a nice feature the venom provides. If you don’t have sight and have to choose between the two, choose the Venom.